What is going on in the personal-care market? Rompa Group has been focusing on the personal-care market for years. This is a broad market that is constantly developing, which is exactly what makes it so appealing to us. We mapped out the sector and had our suspicions confirmed: personal care is booming. Every year, the market experiences a total growth rate of circa 9.2%. In 2018, we spent nearly $116 billion on personal-care products. By the year 2022, that amount is estimated to reach $164 billion; an annual average of $110 per user. This spending behaviour comes as no surprise in this day and age. Shopping for personal-care products is becoming more and more convenient and we are willing to go to great (financial) lengths to stay young and fit – or, to take things one step further, to live an everlasting life. Living as long as possible in a healthy way appears to be the new goal in 2019. Personal care is a broad term. It brings to mind beauty products such as lipstick and skin-care lotion, as well as products such as medication. Then there are the appliances, which is where Rompa comes in. Think of e.g. toothbrushes or razors. Hair removal is a major theme. For example, men devote more and more time to trimming and styling their beards. For a major player on the personal-care market, we developed a smart razor stand. 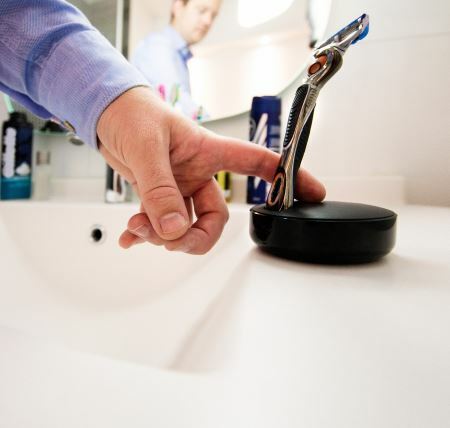 It features a built-in order button that allows users to order new razor blades from home. This extra service improves customer retention and is extra convenient for consumers which explains the increase in spending. We invest more and more in products that help us stay young and live healthier lives, such as smartwatches that monitor our heart rate, speed and the number of steps we take each day. It already starts with new-borns: Rompa develops a smart milk bottle device which measures the amount of food consumed by a new-born. The data is shown via a special application. Our ultimate goal is to become healthier and live longer. That is possible because we have the means to collect a large amount of data about ourselves. We are slowly becoming our own doctors. Monitoring health becomes vital these days. Another up-and-coming trend is accessories that match a product. Take toothbrushes, for example. It is increasingly common for the carry case, the stand and the extra head to have matching designs. The devices are modernised and often connected as well. 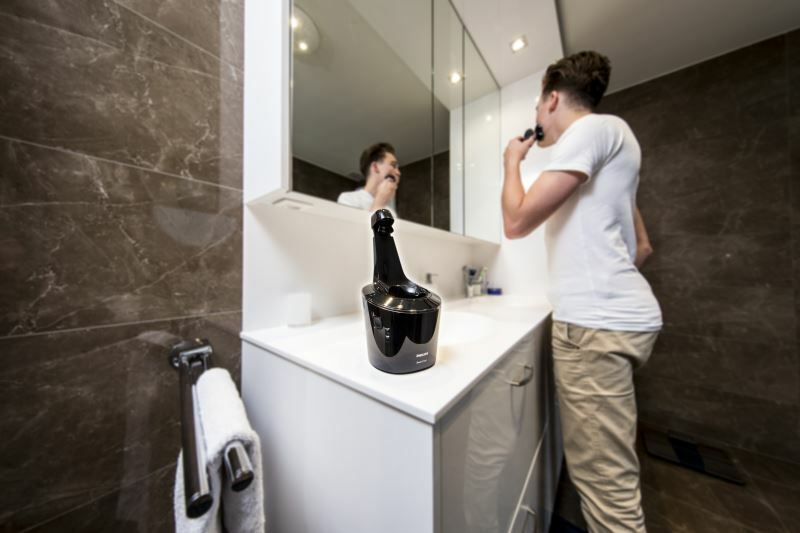 A toothbrush can tell whether you missed a spot in your mouth and a luxury shaver is recharged via a wireless charging pad, which Rompa manufactured with Qi-technology. We keep a close eye on the latest trends and developments in the personal-care market. That allows us to remain as innovative as ever and continue to think along with our customers. Interesting topics regarding personal care appliances within your organization? 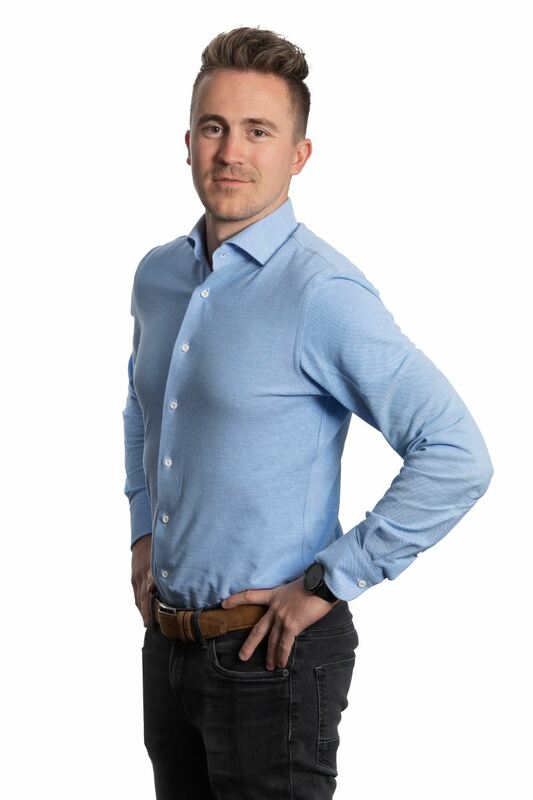 Start a conversation with Tim Franssen, our personal-care specialist, directly via mail tim.franssen@rompa.nl or call him via +31 (0) 13 – 204 09 88. Want to know more about the Internet of Things? Read it right here!